Did you know in the the Brothers Grimm version of Cinderella, the evil stepsisters go to great lengths to squeeze into the glass slipper? Golden slipper, actually. Their mother, the O.G. Wicked Stepmother, suggested a few rather ghastly procedures to make the shoe fit. Cinderella, as you know, required no hasty amputations to fit into the golden slipper. Her dainty, fully-intact foot slid in without hesitation. The prince knew immediately she was the one; cue the happy ending. And the solid life lesson: When something’s meant to be, you don’t have to force it. It just feels right. 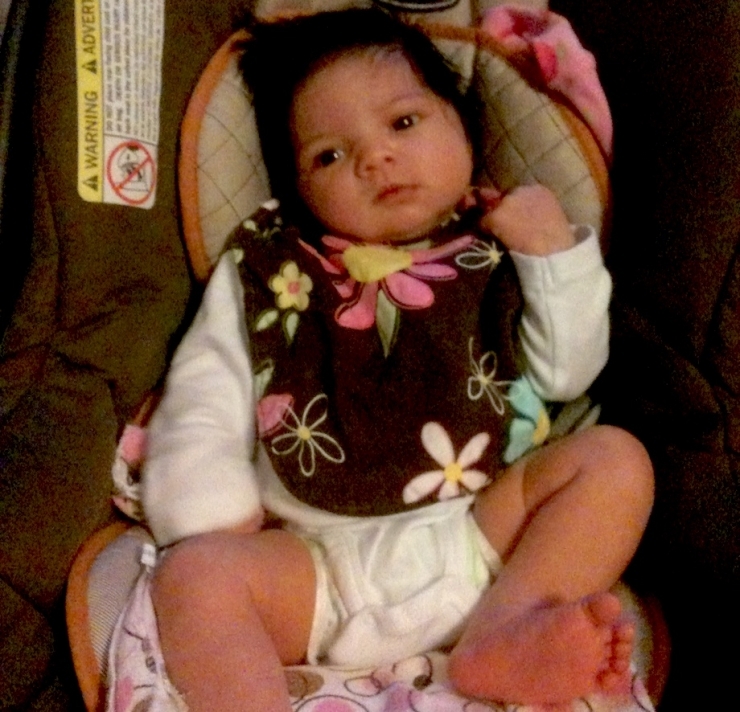 Anastasia was born November 4, 2011 to a very excited family. She had a thatch of black hair and saucers for eyes. It was love at first sight. But, as we’ve learned through fairy tales – and also the Transformers – there’s often more than meets the eye. 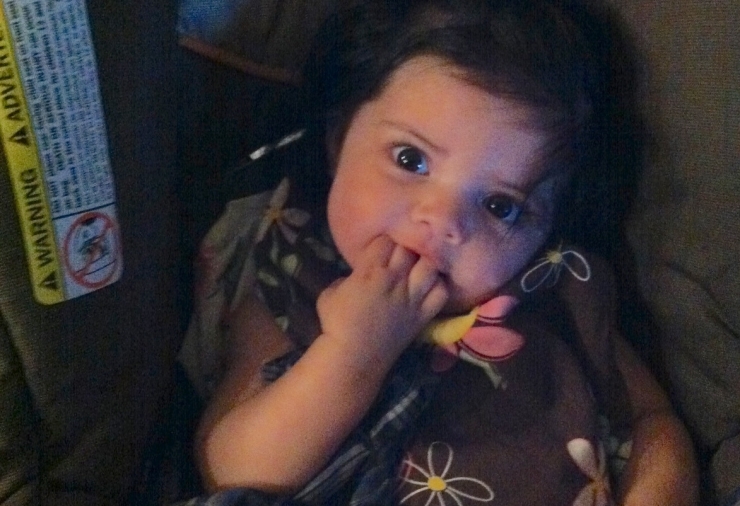 “Within days of her birth, I knew something wasn’t quite right,” explains her mom Jeannette. At just five days old, Anastasia turned blue and was rushed back to the hospital. 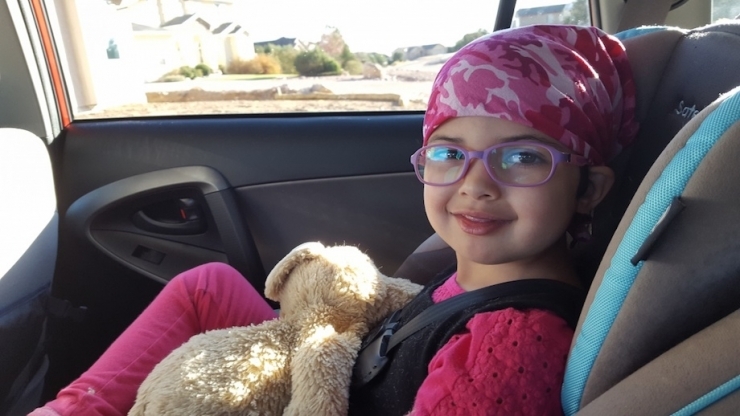 Doctors couldn’t figure out what caused the sudden color change, but were able to determine Anastasia had gastroesophageal reflux disease (GERD). At six weeks, she started coughing, which turned into bronchitis and then pneumonia, and we all know nobody’s got time for that. 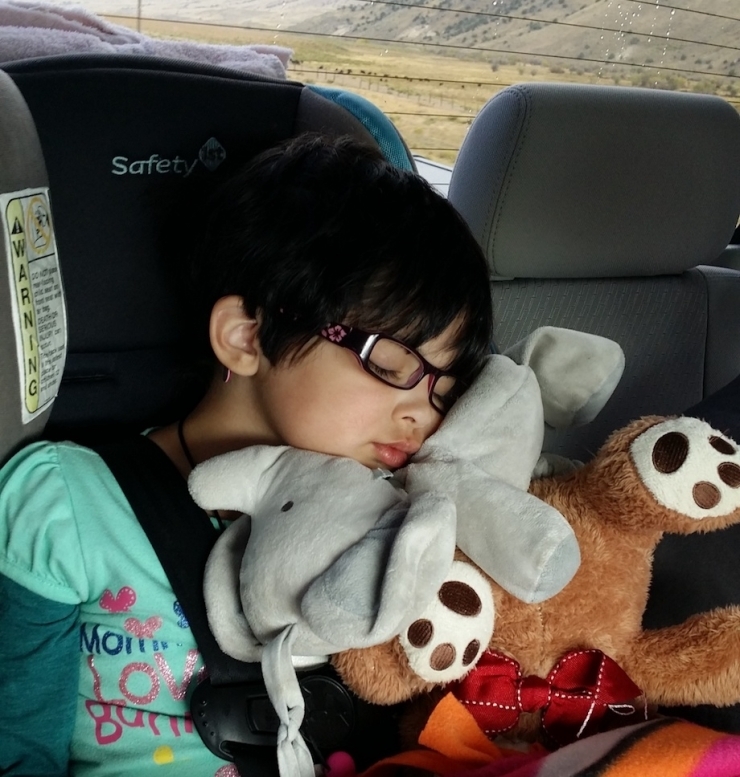 Anastasia’s first 12 months were plagued by respiratory illness, reflux, and constipation. It wasn’t a great year. 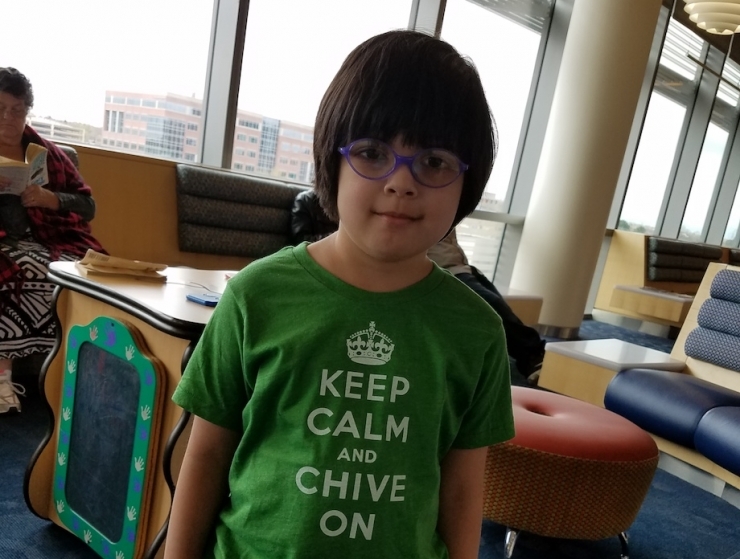 There’s a common thread among many of the stories we tell at Chive Charities. 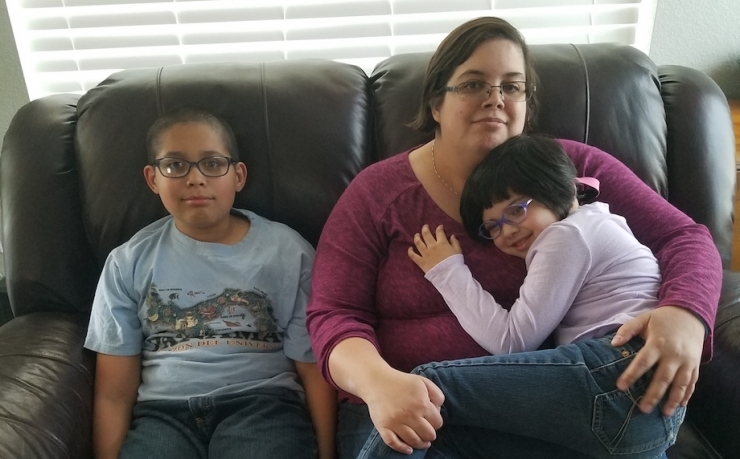 Rare disease can mean a long and scary road; parents fighting for answers, doctors trying to wedge a list of symptoms into a diagnosis that may not fit quite right; everyone wishing a fairy godmother would wave her magic wand and make these babies better. This tale is no different. 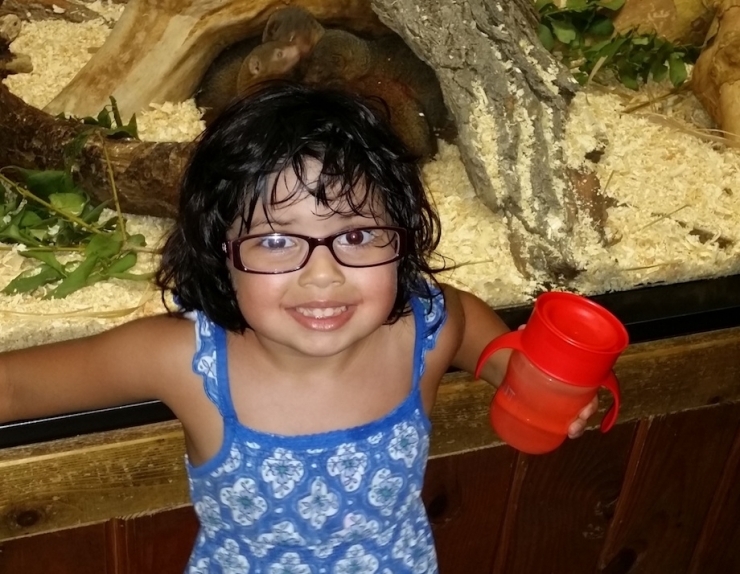 In February 2015, genetic testing showed Anastasia has Potocki Lupski Syndrome (PTLS), characterized by low muscle tone, poor feeding, delayed motor skill and verbal development, and, in some cases, autism spectrum disorders. 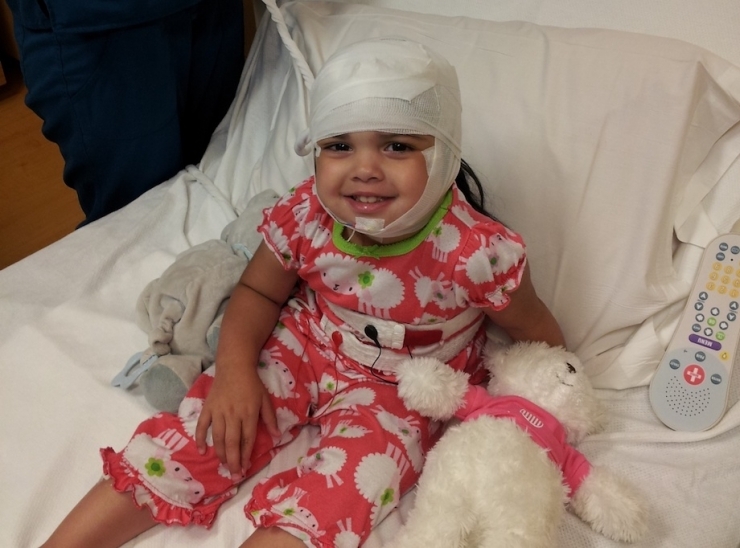 Less than a year later, Anastasia went unresponsive and turned blue once again, and doctors determined she also has generalized epilepsy. 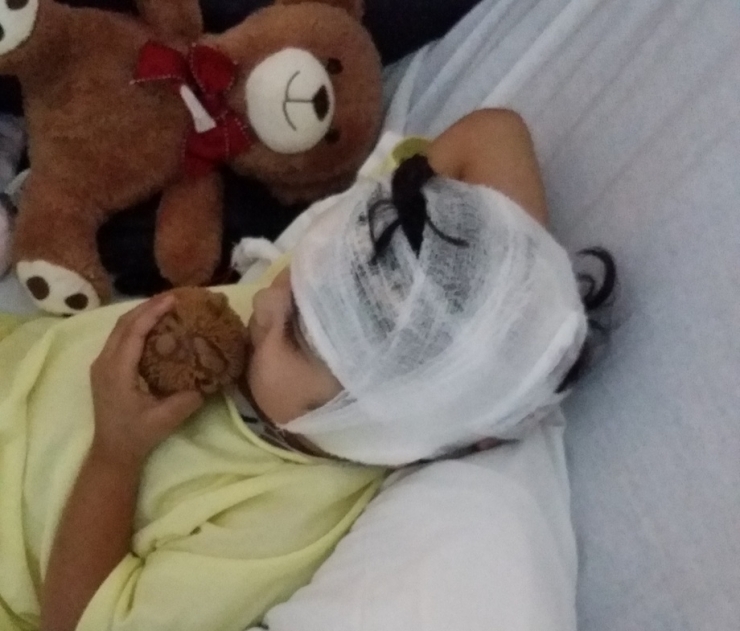 They recommended speech, occupational, physical, and pool therapy, and prescribed an anti-seizure medication. 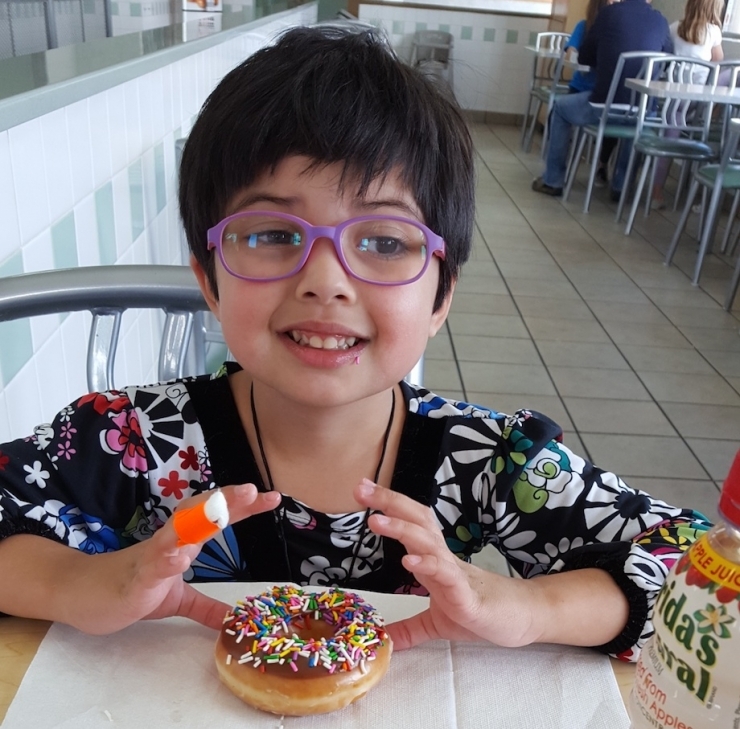 In June 2015, Anastasia’s mom became a certified nursing assistant to better care for her daughter’s growing list of special needs, and last April, they attended a conference on autism spectrum disorders. That’s where the fairy godmother came in. One of the biggest dangers for people with seizure disorders occurs when they have an episode alone. It means constant worry in the car or during the night. 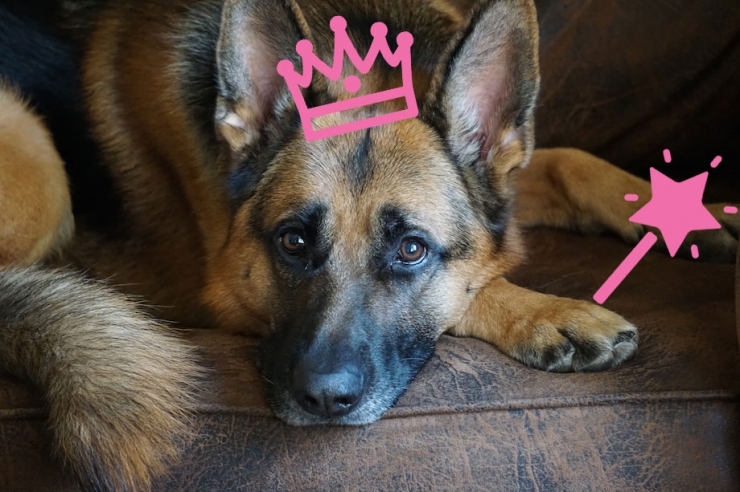 Seizure response dogs can help by alerting a parent when their child has a seizure, and some are trained to use their body to brace a seizing person. 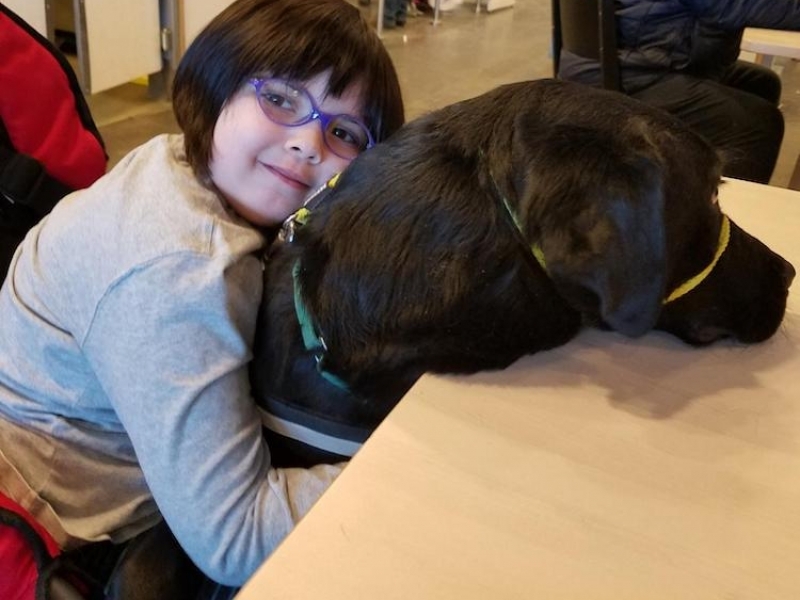 Anastasia was first introduced to the idea of a service dog at that autism conference in 2016, and her mom told us it was love at first sight. The real kind. “Between every session she wanted to go see ‘her dog,” smiles Jeannette. “The dog scooted next to her, but didn’t touch her. We all noticed her relax. She totally melted.” It was easy, natural, a perfect fit. From that moment, Anastasia was on a mission. She looks for lost change everywhere she goes, eyes glued to the ground, scanning for something shiny. She picks up extra chores, collecting pennies for setting the table or helping with the laundry. She’s determined to save up enough money to buy her own service dog. She’s five years old, you guys. Like many kids on the autism spectrum, Anastasia is sensitive to light and sound, and struggles with social interaction. With the service dog nearby, though, she was able to find her comfort zone, despite being in the middle of a bustling conference. 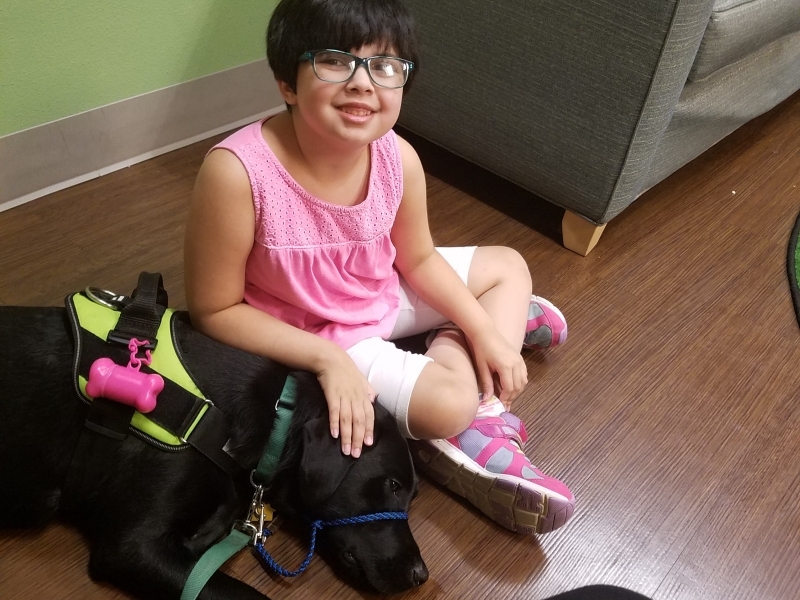 Jeannette realized a service dog could do much more than help with the seizure disorder; it could calm Anastasia’s nerves, pave the way for social growth, and help her make friends when she goes to kindergarten this fall. But it starts with us. Chive Charities' Green Ribbon Members, to be specific. Their monthly donations to the Green Ribbon Fund paid the $12,500 for Anastasia’s very own service dog. She’ll have her new best friend in just a few weeks. Jeannette hasn’t told Anastasia about the dog yet, because five-year-olds aren’t known for their patience. As soon as the doggo is ready to go home, she’ll get the good news. You’re probably wondering how much money Anastasia has saved up since the conference; Jeannette says there’s no telling...it’s collecting at the bottom of her toy box. After they get the puppy, she plans to take Anastasia to buy a few things – a bowl, collar, toys, standard canine accoutrements. I cannot wait for that photo opp. 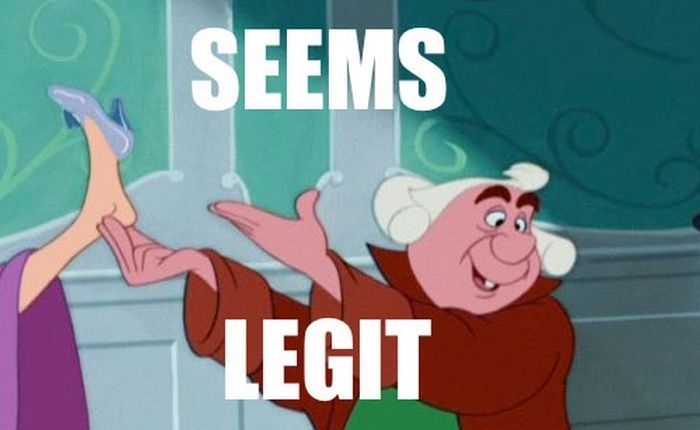 Now’s your chance to be the fairy god-person in someone like Anastasia's life. Become a Green Ribbon monthly donor right now by clicking HERE. It’s so worth it. Check back soon for pics of of Anastasia with her new best friend. We're hoping it becomes part of her happily ever after.